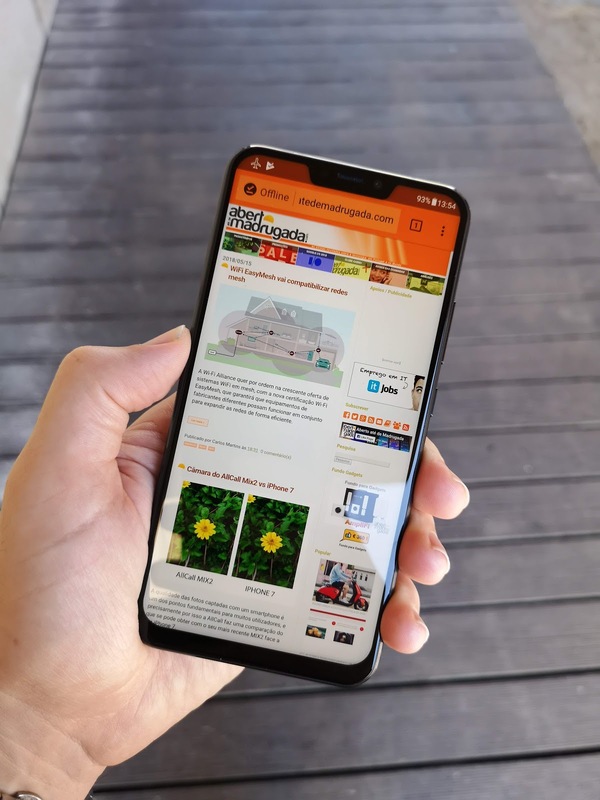 The upcoming ZenFone 5Z will be a major milestone for Asus, bringing us a high-end device at an affordable price, but while testing the regular ZenFone 5, we found a very curious thing regarding its screen. As I was testing the ZenFone 5 ("regular version") I noticed something I wouldn't expect to find in an Asus smartphone. The screen exhibited a noticeable light variation as you looked at it from an angle. This is weird, as Asus has been one of the first companies to use high quality IPS LCD screen in its devices, back in the day when other manufacturers used cheaper LCDs with color shift. 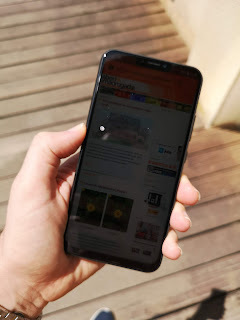 I was intrigued... Asus would surely not have "cheaped out" in its ZenFone 5 line of devices; and after digging around, it seems this effect is caused by a new LCD manufacturing technique designed to improve its outdoors legibility in the Sun. So I put that to the test... not knowing I would soon be even more surprised. Just like Asus promised, the ZenFone 5 is indeed perfectly legible even in direct sunlight. Sadly, I couldn't figure out a way to show it using photographs! The two photos above were taken merely seconds and feet apart, with the only difference being: one was in the shade, the other in direct sunlight. The thing is, to the naked eye, the ZenFone 5 screen was always as bright as the photo you can see in the left; however, when snapping a photo of it in the sun, the screen always shows up as dark - which has nothing to do with that it looks like to our eyes. I suspected it might have something to do with the screen polarization or so, but even after testing it with other cameras, I always got the same result, of a apparently dimly lit screen.